Tower Plaza is a 12-story, 199,772-square foot office building on South El Camino Real in San Mateo, with commercial tenants in tech, finance, entertainment and other industries. 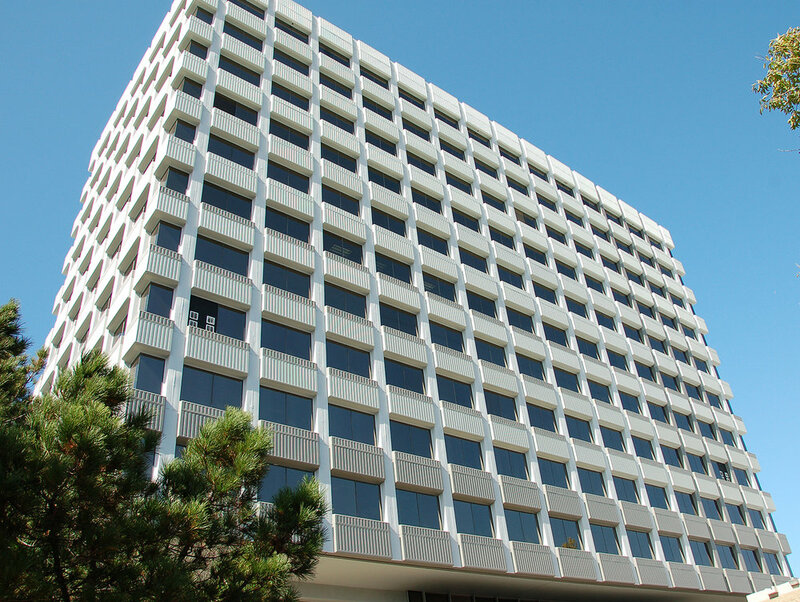 Built in 1974, the building was in need of a make-over: the window sealants had deteriorated and the exterior surfaces were in need of fresh coatings. Urban Painting removed the old sealant from approximately 500 windows and put in fresh Dow 795 silicon sealant. We found deterioration on the building’s vertical expansion joints, which we replaced with new Dow Corning 123 silicone tape. For aesthetic appeal and protection, we then applied multiple coats of Dow Allguard siliconized elastomeric to the wall surfaces and two coats of acrylic to the soffits.